Graphics can be used in many ways and more and more people realise the impact they can provide. Instead of using a standard square box framed image alongside text this customer wanted something a little different. Library images were used to enhance the green theme they were looking to convey , we then used a combination of partial coverage and fade on the images and blended these into the text. 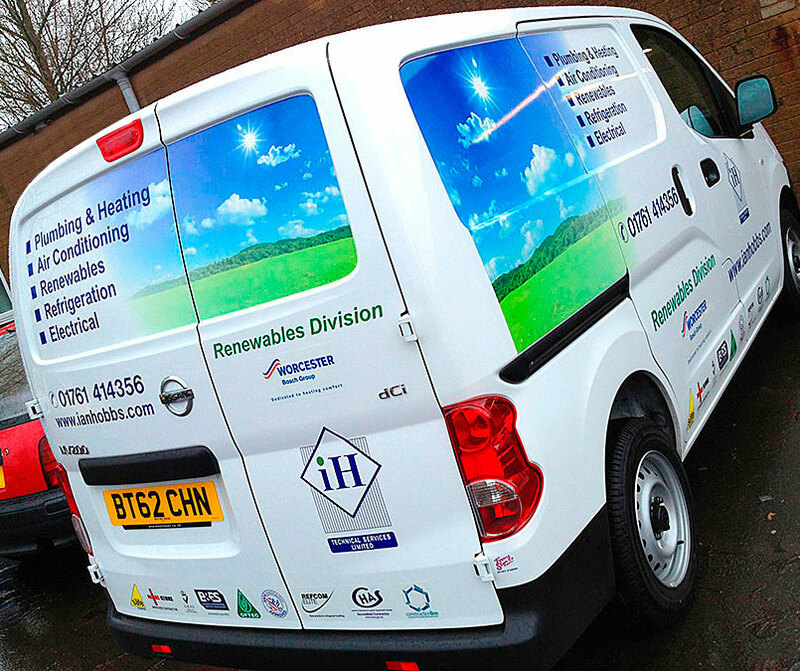 The effects were such that the customer has since had many more existing vehicles re-liveried in this way.